In-Depth Composer Study, Music Appreciation, fun theory games, and learn to play the piano! Listening to and playing music is wonderful in itself, but knowing the story behind the composer, the struggles and triumphs, and understanding the underlying structure of the music is something that transforms how you hear music. Homeschool students at Marin Piano Studio engage in guided listening, learn music theory, complete in-depth composer studies, put together engaging lap books, and play fun music-related games. Students can also enroll in optional piano lessons each week directly after class! Learn how to play piano and meet fellow homeschoolers! This program is perfect for students, aged 7 through 18. 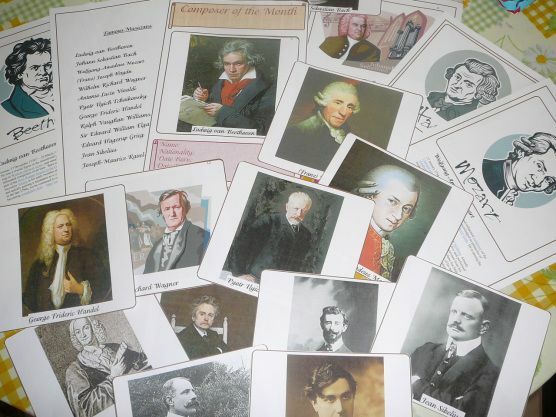 Music Appreciation: Guided Listening, Background on Pieces, In-Depth Composer Study, plus fun theory games & activities. One Hour Class. $225/Session. 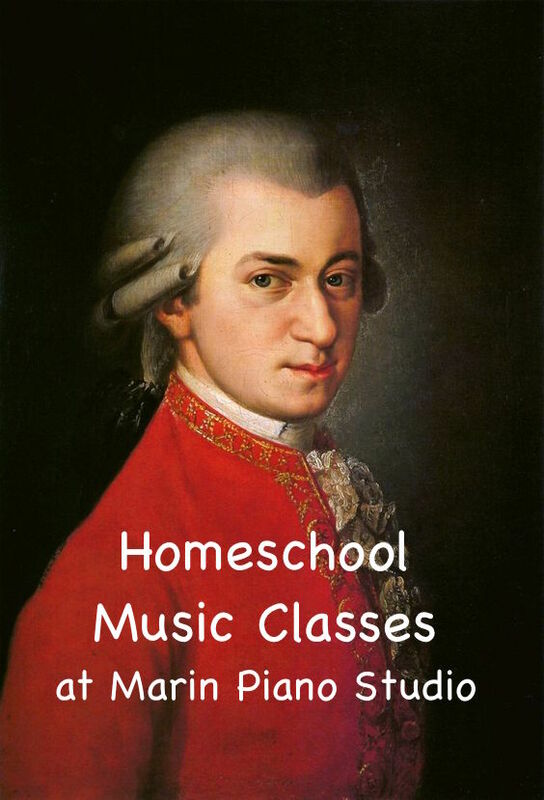 Piano Class: A group piano lesson, just for Homeschoolers! 30 and 45 minute weekly lessons available. $300/Session. Interested in Homeschool Classes at Marin Piano Studio? Music History: Composer Study at Marin Piano Studio. During this time, composer information and listening examples are presented. at Marin Piano Studio or want to Register?